Life at fifteen is complicated with hormones and belligerence but what if you throw in the mix nightmares that torment you even when awake? What if everything you hold dear threatened to slip through your fingers? PERPETUAL NIGHT follows Lilibeth Royster’s search for the truth in a world where the here and the beyond get tangled; where every clue opens new horrors; where uncovering her secret might threaten more than her sanity, her life. Where do you find your inspiration? I imagine what the walls would say if they talked. What is your favourite aspect of PERPETUAL NIGHT? The hint of tragedy that lurks under the story. 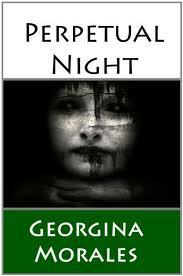 Who is your favourite character from PERPETUAL NIGHT and why? Lilibeth, because she’s the opposite of a typical heroine. What are you working on now? A supernatural mystery based on the legend of Dighton Rock. What do you love most about writing? The endless hours of playing pretend in my mind. 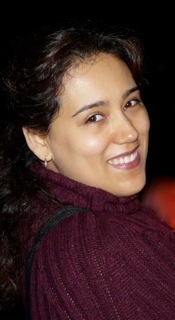 This entry was posted in Events, May 2012 - Indie Author Event and tagged author bio, buying links, georgina morales, interview, perpetual night, website. Bookmark the permalink.